Richard Lamb joined the Department of Learning and Instruction as an associate professor. He is currently the director of the University at Buffalo Neurocognition Science Laboratory and is the program director for both the science and the public program and the educational technology programs. He earned his Ph.D. from George Mason University, College of Education and Human Development in science education and educational measurement. Lamb previously served as an assistant professor at Washington State University, where he taught in the elementary education program, courses on advanced quantitative methods such as multilevel modeling and structural equation modeling, and directed a laboratory. 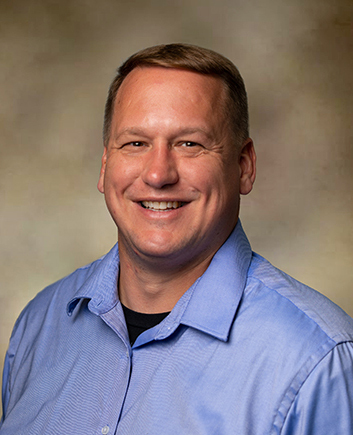 His research interests focus on the identification and measurement of cognitive processes engaged while using technology in the learning of science and other STEM fields. The tools Lamb uses to complete his research are interdisciplinary and drawn from multiple fields to include neuropsychology, neuroscience, educational measurement, and computer science. Lamb, R. & McMahon, D.D. (2016). Educational and Learning Games: New Research. New York, NY: NOVA Publishing. Lamb, R, (2016). Assessment of student learning using cognitive diagnostics and computation models of cognition. In R. Lamb & D.D. McMahon (Eds. ), Educational and Learning Games: New Research. New York, NY: NOVA Publishing. Lamb, R., Cavagnetto, A., Adesope, O., Yin, L., French, B., & Taylor, M. (2016). Artificially intelligent systems in education a tool for the future. In R. Lamb & D.D. McMahon (Eds. ), Educational and Learning Games: New Research. New York, NY: NOVA Publishing. Ardasheva, Y., Firestone, J. B., Lamb, R., & Newcomer, S. (2016). Contributions of strategies, self-efficacy, and general and technical vocabulary to science reading comprehension among ELs. Roundtable presentation accepted for the annual meeting of the American Educational Research Association (AERA), Washington, DC. Lamb, R., Annetta, L., Firestone, J., Vallett, D., Shapiro, Mi., & Matthews, Bi. (2016). Examination of moderators of student cognition, affect, and learning outcomes using Serious Educational games, Serious Games and Simulations in the science classroom, Paper presented at the International Conference of Association of Science Teacher Education (ASTE), Reno, NV. Lamb, R., Firestone, J. & McManusi, C. (2016). Principles and applications of Functional Near Infrared Spectroscopy. Paper presented at the National Science Foundation Laboratory Collaborative Network. Gainesville, FL & Boston, MA. Lamb, R., Hand, B., & Yoon, S., (2016). An exploratory neuroimaging study of argumentative and summary writing. Paper presented at the National Conference on Understanding Knowledge Bases and Learning Environments Conference. Iowa City, IA. Moorei, R., Lamb, R., & Carbonneau, K. (2016). Measuring student’s values: What secondary student in Hawai’i value in mathematics learning. Paper presented at the 13th International Congress of Mathematics Education (ICME). Hamburg, Germany. Moorei, R., Lamb, R., & Carbonneau, K. (2016). Values: Navigating the nepantla of mathematics and culture. Paper presented at the International Group for the Psychology of Mathematics Education (IGPME). Szeged, Hungary. Vallett, D., Lamb, R., Annetta, L., & Shapiroi, M. (2016). Intersection of creativity and the design process in SEG design-based research. Paper presented at the International Conference of National Association for Research in Science Teaching (JRST). Baltimore, MD. Walkeri, H., Lambi, R.E., Hardardottii, M., Lamb, R., & Firestone, J. (2016). Fetal Alcohol Spectrum Disorder and cognitive function in children a meta-analysis and computational model. Paper presented at the Council for Exceptional Children (CEC), Buffalo, NY.